Your plumbing system is an important part of your home and your daily life. At Franklin Plumbing & Drain Cleaning, our professional plumbers in Columbia, SC can help you keep every part of your plumbing system in excellent condition at all times. We can provide high quality plumbing repairs, fixture installations, and maintenance services that will keep your plumbing system totally functional and your home as comfortable as possible. All of our plumbers are licensed, trained, and experienced professionals who will be able to provide thorough and accurate services. We'll do whatever it takes to make sure that your plumbing system in great shape, and we guarantee your complete satisfaction with our work. Give us a call today to schedule your appointment for plumbing services, and we'll be looking forward to working with you and becoming your go-to plumber in Columbia, SC. Your water heater is almost constantly under a great amount of pressure, so problems with it could occur at any time. When your water heater has any problems, our Columbia plumbers will be able to thoroughly repair them. We'll diagnose the issues quickly, and we'll do whatever it takes to make sure that you can rely on your water heater. We can also provide water heater maintenance services to help prevent problems from developing, and to keep your water heater as efficient as possible. Give us a call today to learn more about the services we provide for tank and tankless water heaters in Columbia, SC. 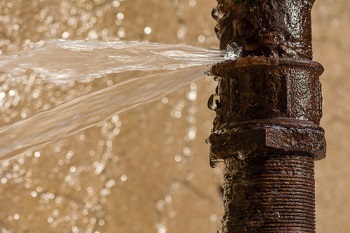 Your home's drains are the most important part of its plumbing system. They're what connect every part of your plumbing system together, so they need to be in great condition at all times. If your drains are blocked or clogged in any way, then you'll see problems develop throughout your plumbing system. Our professional drain cleaning services are designed to keep your drains and clear and free-flowing as possible so that your plumbing system works as well as possible at all times. Our professional drain cleaning services are more effective and less damaging than store-bought drain cleaners. "Great work, wonderful attitude, very efficient, was highly impressed with his whole visit"
If you are looking for a professional plumber in Columbia, SC then please call 803-799-2222 or complete our online request form.